All of us, for the most part, like fatty foods and enjoy hefty roast dinners at the weekend in the presence of our families. It is important to remember that whilst we are doing so we are introducing a potential killer into our systems that can – without warning – take its toll on the internal workings of our stomachs and bowels and have longer lasting ramifications for our digestive systems. Our body needs a certain amount of fat but too much can have an adverse affect and lead not only to problems with the digestive system but also problems with the heart and the main arteries, which help push blood through the body. Upon entering the stomach the food that we eat begins to break down and from it our bodies take the nutrients and proteins needed to help us push on. Once the food has entered the stomach it then begins the task of breaking it down and extracting the required materials from it; this is done by adding liquids and digestive juices to the food in order to facilitate the breaking down process. However, should excess levels of fat be found in this food the process of breaking it down can take longer and in some instances may not take place fully, to which end food becomes trapped in the stomach or intestines and additional problems arise. The body digests the food into the small intestine where the pancreas, liver and intestines absorb the remainder of anything that can be useful from the food before it is finally pushed on. The walls of the intestines absorb these necessary nutrients and proteins and the waste products are then pushed through to the colon for excretion. This of course sounds all very unpleasant but it is a necessary part of our existence as human beings. However we have a tendency to overlook this when we are enjoying fatty foods and large quantities of meat. During the course of our lives we will – unless we are vegetarian – digest many tons of meat, some of which will collect in our bowels as undigested whilst for the most part it will be expelled in the normal way. But this can only be achieved if the amount of fat is kept down to an acceptable level. Fatty foods, although perhaps difficult to avoid depending on your taste, are the most common way in which the inner workings of the digestive system can be upset and likewise the whole process following digestion can also come under attack. 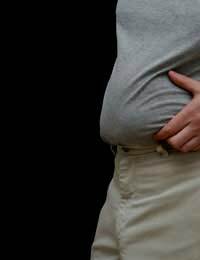 If you feel that you are eating too many fatty foods consult your doctor as to how to go about cutting them down. The first thing to remember is not to cut things like meat out altogether as the body does need a level of fat to balance out the other proteins and carbohydrates it takes on board. So consulting your doctor and asking for his or her help in coming up with a diet regime can only be a good thing. It is worth noting however that it is best to do this under doctor’s supervision and not to try and change your diet and lifestyle without the advice of your GP as this can lead to problems further down the line.